The 2019 Lincoln MKT may be nearing the end of its run, but it still offers a good deal of power, luxury and capability at a fair price. While not the most advanced luxury SUV on the market, the 2018 Lincoln MKT excels in the areas of luxury, comfort and value. The 2017 Lincoln MKT offers a wide array of luxury features plus a powerful twin turbocharged V6 in a uniquely American luxury crossover. 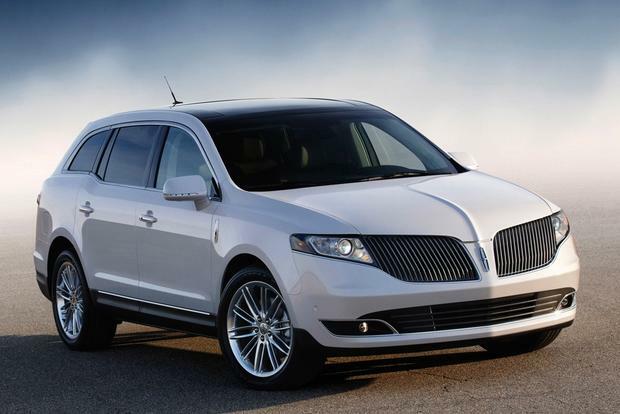 The 2015 Lincoln MKT provides style, luxury and room for seven people, all for a very reasonable price. 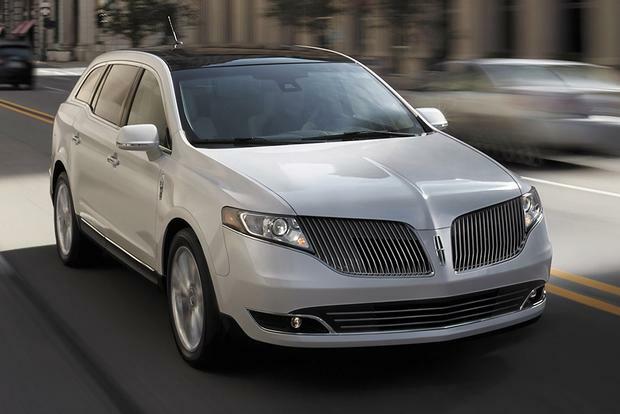 After a major makeover last year, the 7-passenger 2014 Lincoln MKT cruises into the new model year basically unchanged. More compact than its sizeable sibling, the Lincoln Navigator, the MKT still provides the space and comfort of a full-size utility in a 3-row configuration. With amenities galore, passengers will find themselves pampered within this upscale cabin, whether it's a quick jaunt to the grocery store or a full-on road trip. An unprecedented emphasis on passenger safety makes the MKT even more family friendly, with such industry exclusives as inflatable second-row outboard seat belts. Overall, this sophisticated crossover has developed into a strong contender among its luxury-laden competitors despite its polarizing and arguably dated exterior design. 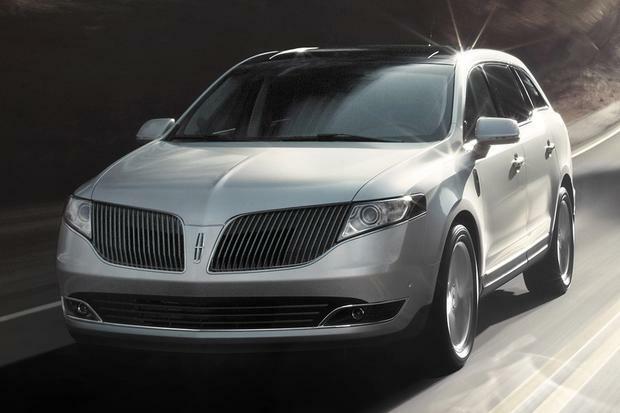 Outside new color choices, there are no major changes for the 2014 Lincoln MKT. 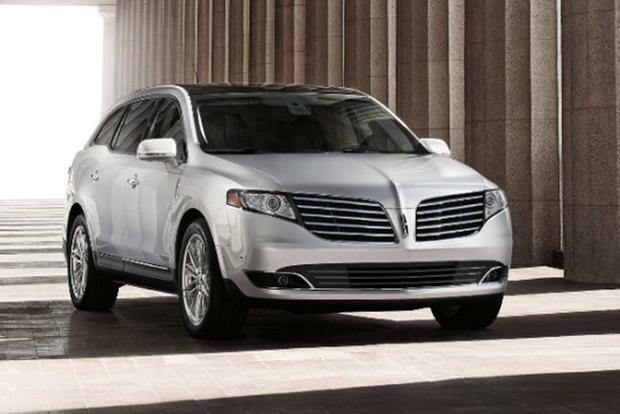 The 2014 Lincoln MKT offers two engine choices. Standard on the front-wheel-drive version is a 3.7-liter V6, producing 303 horsepower and 267 lb-ft of torque. Mated to a 6-speed automatic, this engine delivers fuel economy of 17 miles per gallon city/25 mpg hwy. The better choice is clearly the 3.5-liter EcoBoost V6, which employs twin turbochargers to deliver a robust 365 hp and 350 lb-ft of torque. It adds full-time Intelligent all-wheel drive, Lincoln Drive Control and CCD. Despite its V8-like power, the EcoBoost engine returns fuel economy not far from that of the 3.7-liter V6. The EcoBoost engine receives an Environmental Protection Agency rating of 16 mpg city/23 mpg hwy. 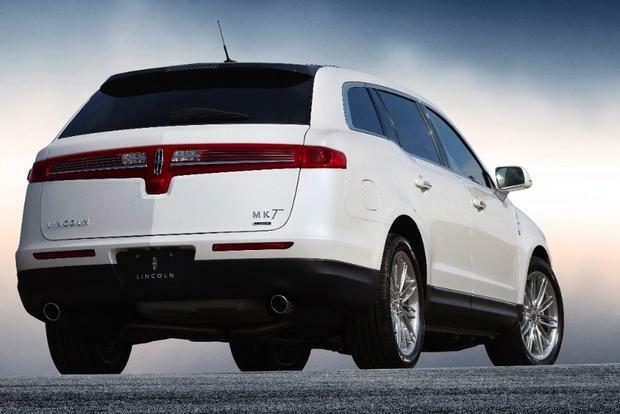 The 2014 Lincoln MKT is offered in two trim levels -- MKT and MKT with EcoBoost. The base MKT's vast standard equipment roster includes 19-inch alloy wheels, xenon headlights, push-button start, a sunroof, 12-way heated and cooled power front seats, leather upholstery across all rows, sunroof, 60/40 split-folding second-row, tri-zone automatic temperature control with rear seat controls, power lift gate, power adjustable foot pedals, rear-door sunshades and a power tilting and telescoping steering wheel. 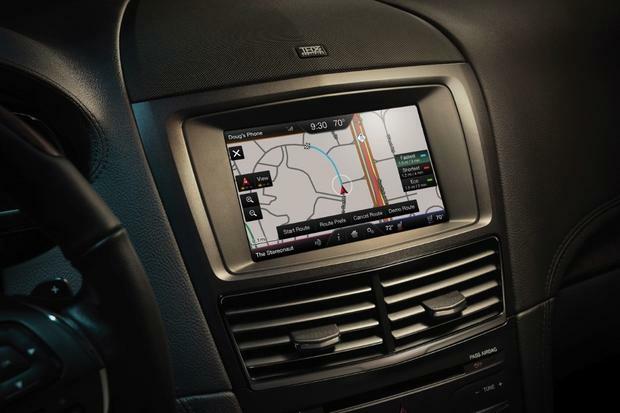 For technology, the base MKT comes with the MyLincoln Touch infotainment system, SYNC voice command system, Bluetooth and iPod connectivity, a rearview camera and a 10-speaker stereo system. The MKT with EcoBoost model is enhanced with a more robust powerplant, all-wheel drive, CCD and Lincoln Drive Control. The Elite package, exclusive to MKT with EcoBoost, adds a power-folding third-row seat, heated steering wheel, navigation, an upgraded 14-speaker sound system and blind spot monitoring. The Technology package builds upon the Elite Package with adaptive cruise control, a lane-departure warning system and an advanced collision warning system. MKT with EcoBoost also offers some standalone options, such as 20-in wheels, panoramic sunroof, second-row captain's chairs and a second-row refrigerated bin to keep beverages cold. The MKT offers an abundance of cargo space with 17.9 cu ft behind the third row, 39.6 cu ft behind the second row and a cavernous 75.9 cu ft behind the first row. The MKT benefits from an array of standard safety measures, including front and front side-impact airbags and full-length side curtain airbags covering all three rows. At the wheels, standard ABS is joined by electronic traction control and electronic stability control. Available adaptive cruise control, advanced collision warning, lane-departure warning and cornering headlamps all help to mitigate the risk of an accident. If an accident does occur, the SOS Post Crash Alert System will honk the horn and flash the hazard lights. Optional inflatable second-row outboard seat belts help minimize torso injury. While the National Highway Traffic Safety Administration has not crashed tested the Lincoln MKT, the independent Insurance Institute for Highway Safety (IIHS) has. The MKT earns top marks in IIHS's moderate overlap, side-impact and roof-strength tests. IIHS also named the 2014 MKT as a Top Safety Pick recipient. The MKT's ride and handling are more than adequate for how this vehicle is likely to be used on the freeway and around town. The steering is nicely weighted but also a bit over-assisted. The MKT's ride is exceptionally smooth, and the cabin is near whisper quiet. Although the 3.7-liter V6 doesn't strain to move the MKT, it doesn't exactly inspire, either. The EcoBoost V6 with its 365 hp is the right engine for this vehicle, offering both Lincoln Drive Control and CCD. Lincoln Drive Control refines the driving experience with a more balanced ride and handling equation, intuitively responding to driver inputs and road surface variables, while CCD enhances ride smoothness and driving dynamics by monitoring and adjusting suspension settings up to 20 times per second based on road conditions and driving style. Audi Q7 -- The Q7 has a more luxurious interior and more advanced optional equipment -- plus it can be equipped with a diesel engine -- but it will cost you thousands more. Mercedes-Benz GL-Class -- The GL can be equipped with a diesel engine as well as a potent V8, and its resale value far exceeds that of the MKT. But you'll pay for the prestige of the Mercedes name -- in some cases nearly twice the MKT's base price. Volvo XC90 -- The XC90 isn't as roomy inside or as powerful as the MKT. But the XC90 costs less than the MKT, and the two vehicles share the same middle-of-the-road resale value. Given that the difference in price between the front-wheel-drive V6 and the all-wheel-drive EcoBoost V6 is only $2,000, we recommend the EcoBoost/all-wheel-drive option. You get a lot more power, a better ride and better handling, as well as many more available options. To this we say, load up your MKT. If you're going to spring for an upscale ride, you might as well do it right.